Hyperwave is an enterprise document, content, and knowledge management system. Suritec has been a Hyperwave partner since 2001. We are responsible for supporting one of the largest Hyperwave implementations worldwide. Our systems integration knowledge and experience was attained in the trenches of content management implementation projects in the financial, energy, and civils environment. 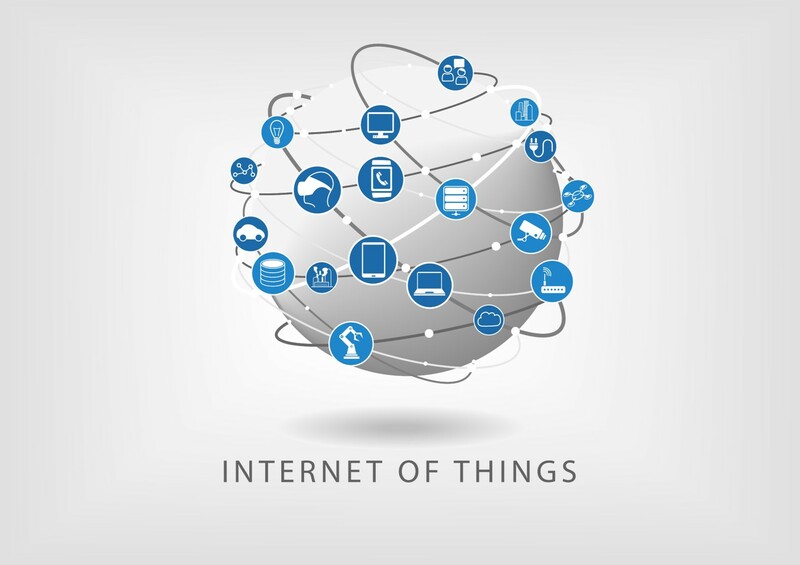 This coupled with our skills and sensor systems development in the Internet of Things (IoT) space, makes Suritec a valuable partner in systems integration. Suritec Geospatial provides all the products and services associated with the Internet of Things (IoT), geospatial visualisation and analysis and big data solutions and analytics. Please click on the link to access the Suritec Geospatial website for any Location Intelligence related information. Hyperwave is one of the leading providers of Enterprise Content Management Solutions. More than 300 entities, both the private and public, make use of Hyperwave solutions, This equates to an install base of appoximately 600,000 users. Apart from standard file formats such as PDF, HTML and Microsoft Office® Hyperwave supports more than 200 other file formats which are indexed, assigned access rights and made searchable. Suritec has been Hyperwave's exclusive South African business partner for the last 15 years. Suritec has vast experience in the implementation and support of enterprise-wide Hyperwave Content Management Solutions in the public as well as the private sector in South Africa. This includes the integration of Hyperwave with other critical business systems in these environments. Hyperwave has a versatile and modular product suit approach. The system elements can be fully distributed allowing for scalability and required growth in any organization. 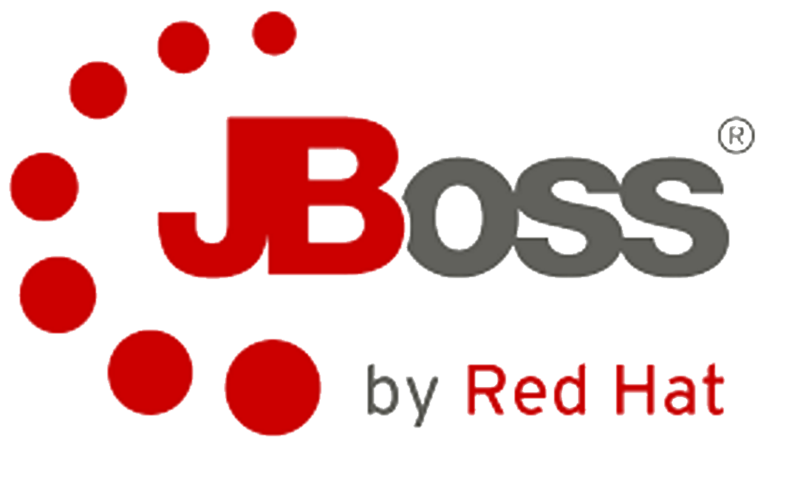 It can be installed on Linux and Microsoft Windows platforms and supports Oracle and MS SQL databases. The Hyperwave Workflow module ensures traceability and all documents are subject to company-specific access rights. Furthermore, complex processes can be monitored in a dashboard providing a current overview of task progress in a team environment. For further information contact us via email link provided at the bottom of the website. 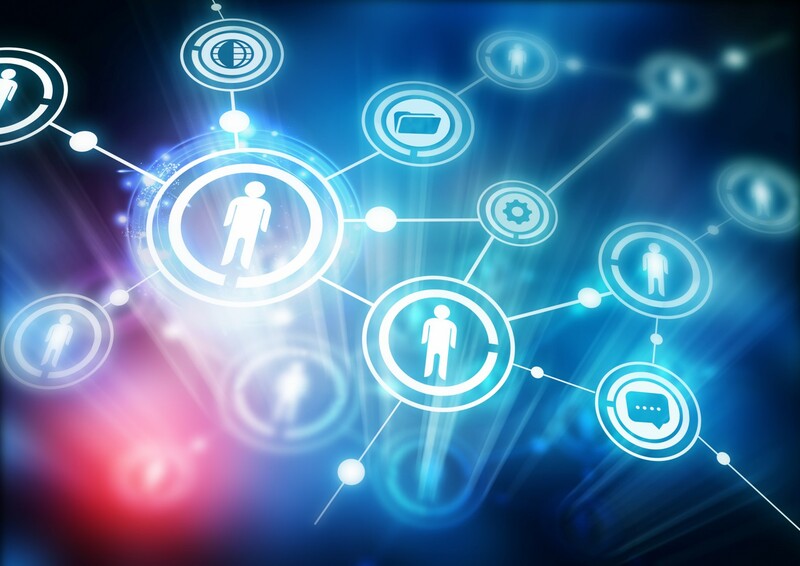 The Hyperwave Workflow allows you to connect documents with business processes providing clearly defined paths of communication and check lists where necessary. 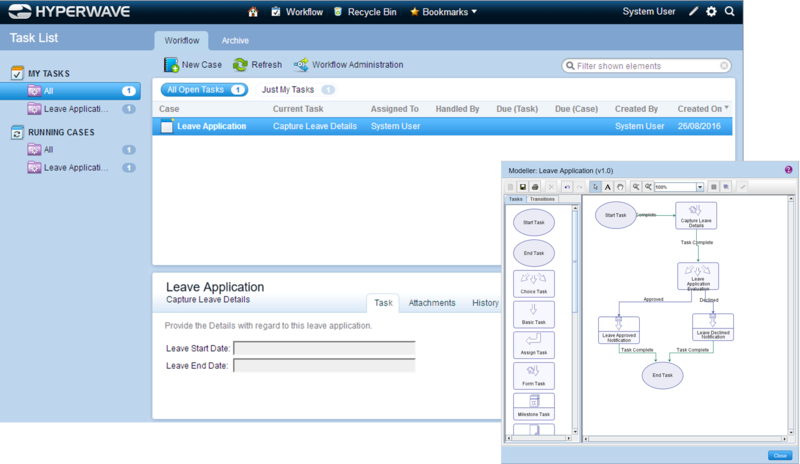 Workflow processes can be designed in the Workflow modeller and stored as Process Description under version control. This allows for easy replication for future processes. Integration of content management systems with other critical business systems is normally a key requirement of most content management implementations. An fundamental area of focus in big data projects is the integration of data sources, sensors and sensor data. This requires comprehensive and cohesive collaboration not only between different technologies but also between various stakeholders. 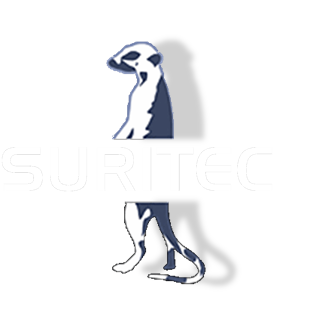 At Suritec we have vast experience in integrated environments that span multiple business sectors including retail, banking, government, utilities and telecommunications. We are equally adept at working with both small and large scale initiatives from one time interventions to corporate transformation programmes. To support integrated solutions and stakeholder collaboration we utilise tried and tested portfolio, programme and project (PPP) practises. It is our experience that successful delivery of integrated solutions requires solid those PPP principles and their effective application. In addition we have provided management consulting to both small and large organisations, assisting them to establish project management capability as well as managing portfolios, programmes and projects on their behalf. Key to our success, in this regard, is that we fundamentally understand that every environment is unique. 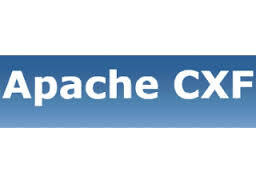 Apache CXF is an open source services framework. It facilitates the building and development of services utilising frontend programming APIs, like JAX-WS and JAX-RS. CXF services support protocols such as SOAP, XML/HTTP, RESTful HTTP, and CORBA and transports such as HTTP, JMS or JBI. Apache Axis2 is a Web Services / SOAP / WSDL engine and replaces the popular Apache Axis SOAP stack. 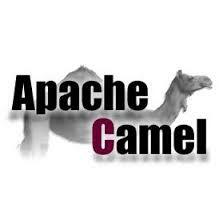 Apache Camel is an adaptable integration framework that enables the definition of routing and median rules in a variety of domain-specific languages. These include the likes of a Java-based Fluent API, Spring or Blueprint XML Config files, and a Scala DSL. Apache ActiveMQ is a widespread and powerful message broker or Integrations Patterns server. It supports a variety of protocols and languages such as Java, C, C++, C#, Ruby, Perl, Python, PHP, AMQP v1.0 support, and support for MQTT v3.1 allowing for connections in an IoT environment. Apache Karaf is an Open Service Gateway Initiative (OSGi) enabled container server that hosts other components and also acts as an integration platform. It provides a dual polymorphic container and application bootstrapping paradigms to enterprise environments. In addition it provides a shell console, hot deployment, remote access, clustering, failover, load balancing and alerting.